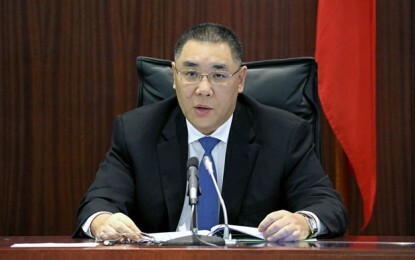 A mainland businessman reportedly brother to the controller of one of mainland China’s major financial groups has increased his stake in casino resort investor Landing International Development Ltd.
Yao Jianhui has upped his stake from 4.63 percent to 5.01 percent as of Tuesday – a level that makes him a substantial shareholder of the firm under stock exchange rules in Hong Kong, where Landing International Development has a listing. According to disclosure of interest data filed with the Hong Kong bourse, Mr Yao paid an average price of HKD0.343 (US$0.04381) per share to acquire an additional 555,360,000 shares in Landing International Development. Additionally, in the space of a week recently, Hong Kong-listed China Goldjoy Group Ltd – a firm chaired by Mr Yao and said to be engaged in financial services and “automation and intelligent manufacturing” – increased its stake in the casino developer to 2.56 percent. China Goldjoy acquired an aggregate of 1,209,300,000 shares in Landing International Development between February 22 and February 28, at a total consideration of approximately HKD414.6 million, excluding expenses, according to a China Goldjoy announcement filed after trading hours on Wednesday. 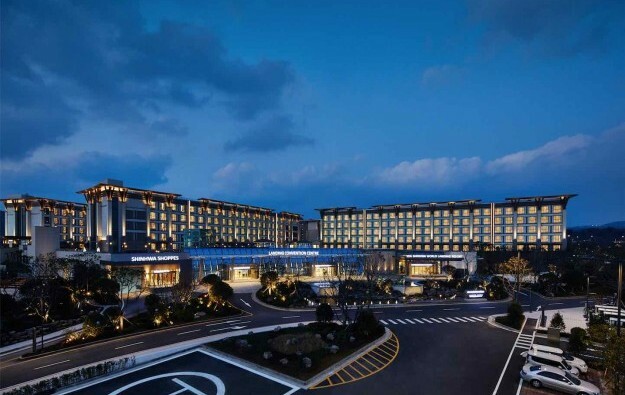 On February 25, Landing International Development opened a foreigner-only casino at the Jeju Shinhwa World resort (pictured) it has developed on Jeju island, South Korea. According to multiple reports in mainstream financial media, Yao Jianhui is the brother of Yao Zhenhua, who controls the mainland Chinese financial conglomerate Baoneng Group. Jeju Shinhwa World was opened in stages, starting April 2017. Currently-operating facilities at Jeju Shinhwa World include: hotels Jeju Shinhwa World Landing Resort and Jeju Shinhwa World Marriott Resort; full-serviced resort condominium Somerset Jeju Shinhwa World; Landing Convention Centre; a K-pop themed zone called “YG Republique”; Shinhwa Theme Park, which opened at the end of September; and a shopping area branded as “Shinhwa Shoppes”. Landing International is looking to open another hotel, the 538-room Shinhwa Resort Jeju Shinhwa World, and a water park at the resort complex in summer this year. The resort project promoter is also planning to launch a Four Seasons Resort and Spa by the end of 2019.